For graduates of a 200-Hour training, YogaWorks offers an advanced 300-Hour program designed for students to master their skills. This program is a modular format, separated into 4-modules: Subtle Body & Philosophy, Asana, Teaching Skills and Apprenticeship. Students can enroll in the full program and will graduate with a 300-Hour RYS certificate or can enroll in the individual modules as continuing education experiences. Each module is based on advanced course material, where students will delve deeper into specific subject matters, refine their teaching skills, identify their area of expertise and set the foundation to master yoga as a life path. This unique professional yoga teacher training is primarily oriented around a strong and in-depth mentor-apprenticeship relationship. Click here to learn more about the YogaWorks Teacher Training and what sets us apart. Saturdays & Sundays | 12:00 – 5:15 p.m.
To enroll in this individual module as continuing education please contact us for more details. Saturdays & Sundays | 12:00 – 6:00 p.m.
October 26 -27 from 8:00 a.m. – 5:00 p.m.
Sundays | 2:00 – 5:00 p.m.
To enroll in the full 300-Hour program, students are required to be a graduate of a 200-Hour YogaWorks teacher training or complete the 75-hour Bridge program. Contact us for more details. 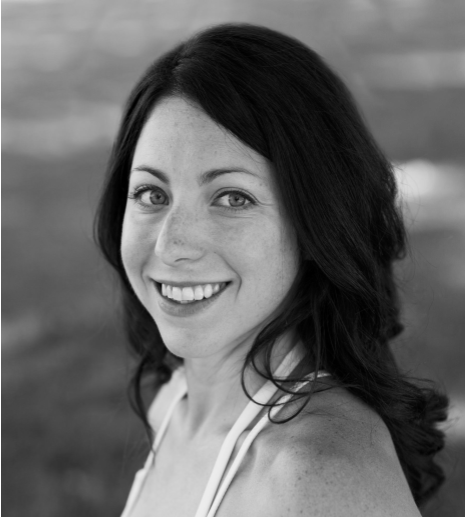 Jennifer Pierotti is an accomplished and experienced YogaWorks Certified, E-RYT 500, and YACEP yoga teacher based in Las Vegas. Jennifer mentored, assisted and trained at YogaWorks in Los Angeles with Sonya Cottle to learn Ashtanga Yoga and continues her yoga education by traveling annually to study under the guidance of Maty Ezraty. What sets Jennifer apart from other yoga teachers is the way she sees each student. Jennifer evaluates each students anatomy and strength, combined with any physical challenges that may appertain to the yoga practice, and then uses the Ashtanga Yoga and Iyengar Yoga systems to create a practice that corresponds with the needs and goals of each student. Jennifer’s advanced knowledge of anatomy produces precise alignment cues and hands on adjustments that elevate the practices of both beginning and advanced yoga practitioners. Her implementation of the yoga practice in this fashion insures each student an individualized healthy and safe yoga practice. Jennifer Pierotti’s method of teaching yoga was developed and born from her own personal experience rehabilitating herself from severe yet cathartic injuries. She utilized her yoga practice to restore and rebuild her shoulder and hip while simultaneously finding balance in her life. During this arduous yet insightful journey, she discovered a teaching, instructing, and guidance process that affords her yoga students a unique opportunity. To learn more about Jennifer Pierotti click here. To learn more about the studio, click here.